No sooner are essays on Mary Shelley’s Frankenstein handed in, then the copies of Paradise Lost are handed out to the Advanced Placement English Literature Students. Yes, there are over 10,000 lines of blank verse in the poem, but don’t shudder for them…they will be fine. This epic poem is a trip to the “dark side” like no other in literature. All it takes is a reading of Book One; a reading that says “Welcome to Hell”! 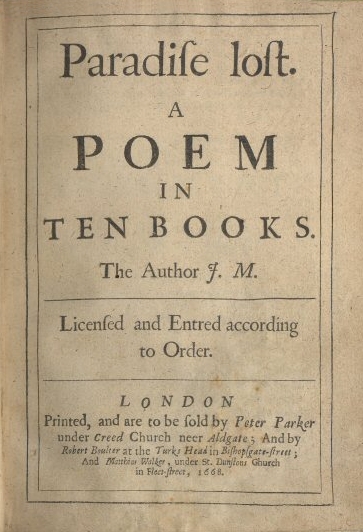 Originally published as 10 books, Milton expanded the epic poem to 12 books in later printings. The “fallen angel” the Monster references is a hero/anti-hero of Paradise Lost: Satan, aka Lucifer, aka the “infernal serpent”, aka the ‘Arch-fiend’ (and a myriad of other Miltonic epithets). ‘The mind is its own place, and in itself can make a heaven of hell, a hell of heaven…” (PL 211-214). Paradise Lost was only one of Milton’s great contributions to literature. He was not only a brilliant poet, but he was also a powerful statesman and a Puritan. He became associated with the Puritan partisanship in Parliament, which was credited with banning Christmas in England in 1644. This would seem to be a contradiction since he was already known for the beautiful Christmas Ode, “On the Morning of Christs Nativity Compos’d 1629”. Perhaps it was the general Puritan aversion to Christmas carols that could be blamed for such a heinous act!. His political career experienced the extreme highs of an appointment as Secretary for Foreign Tongues (1648) and his association with Oliver Cromwell in the execution of Charles I (1649). In contrast there were the lows of an imposed exile upon the return of Charles II and the arrival of the Restoration in 1660. One of the reasons he was not executed for his implicit participation in Charles I’s regicide was that he was struck blind in 1654, and there were many who argued that this blindness was punishment enough. Milton was used to pain and suffering as the deaths of his first and second wives and several children were tragic interludes throughout his life. Like another blind poet, Homer, Milton achieved greatness with an “inner sight”. Critics generally agree that his best poetry came after he became blind and dictated all the lines of verse to his remaining daughters. A painting by Mihály Munkácsy (1877) hangs in the New York Public Library (NYPL) and depicts a scene of a head-bowed Milton reciting to one daughter who is scribing lines into a book. Speaking these lines is a tragic Satan, fully aware that he has brought himself to ruin, as told by a poet, who had also come to political ruin. The reader can sympathize with such a character, and isn’t that the role of great literature? To draw on the reader’s empathy? By the end of the poem, however, Milton restores the balance of sympathy towards Adam and Eve. They walk bravely, hand-in-hand, out of the Garden, into the sunset, ready to begin “his-story”. 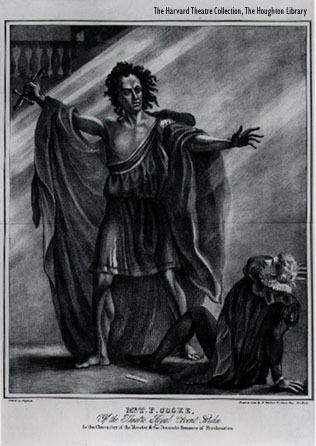 In contrast, the character of Satan is reduced to a hollow hero, receiving accolades from a hissing mob of demi-devils. He is cursed, and like the Monster in Frankenstein, he is unreconciled with his creator. So happy Birthday, John Milton, (December 9th), but let us not forget, that while your character Satan may dwell in evil, it was you who helped to cancel Christmas! It’s Halloween…what is the most frightening story you have ever read? Yes. Frankenstein. 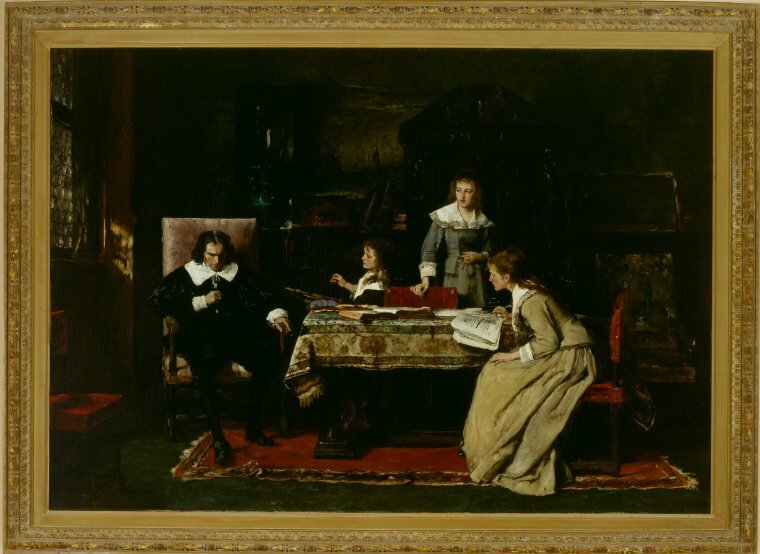 Mary Shelley’s masterpiece drafted when she was18 years old. Teaching Mary Shelley’s “ghost story” always elicits the most interesting responses from my students. 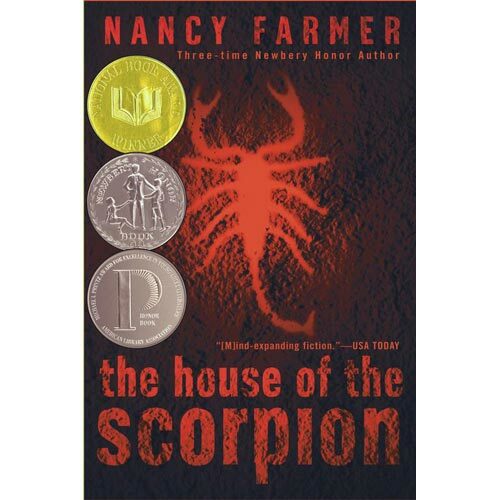 I have taught the novel every year for the past 12 years to students in grades 10-12, in AP or unleveled curriculums, and the results are always satisfying. Note: I did not say easy. Since I am now familiar enough with the text and the pitfalls that catch most students, I know that I will need to summon an enormous amount of energy to begin teaching Frankenstein. First, there is the baggage of the pop culture monster with its green skin, bolted neck and squared boots. That baggage must be “unpacked” first. Then, there is Robert Walton’s epistolary start of the novel, coupled with Victor Frankenstein’s lengthy autobiography. References to Cornelius Agrippa, Lake Geneva, and Galvanism are more stumbling blocks. “With an anxiety that almost amounted to agony, I collected the instruments of life around me, that I might infuse a spark of being into the lifeless thing that lay at my feet. It was already one in the morning; the rain pattered dismally against the panes, and my candle was nearly burnt out, when, by the glimmer of the half-extinguished light, I saw the dull yellow eye of the creature open; it breathed hard, and a convulsive motion agitated its limbs”(Shelley, 5). The Monster lives! Like the Creator in Genesis who “formed the man of dust from the ground and breathed into his nostrils the breath of life, and the man became a living creature” (Genesis 2:8), Shelley breathes life into her creation without regard to hard science. In both stories, the empirical data or formulas, which led to these creations, express leaps of faith understood by the reader. The spark of life is imbued; the creation lives and breathes. The Creator of Genesis differs immediately from Victor when he, “planted a garden in Eden, in the east, and there he put the man whom he had formed”(Genesis 2:8), In contrast, the reader can hear Victor’s sudden gasp, “Beautiful!–Great God!” so repulsed is he once the creature comes to life. Victor weakly admits that all this work has been a failure, and comments almost apologetically, “The different accidents of life are not so changeable as the feelings of human nature” (Shelley, 5). Unfortunately, the creation has been loosed upon the earth; he will not easily be unmade simply because his creator has changed his mind. “when, by the dim and yellow light of the moon, as it forced its way through the window shutters, I beheld the wretch — the miserable monster whom I had created… His jaws opened, and he muttered some inarticulate sounds, while a grin wrinkled his cheeks. He might have spoken, but I did not hear; one hand was stretched out, seemingly to detain me, but I escaped, and rushed down stairs” (Shelley, 5). The Creator in Genesis does not abandon his creations, despite their disastrous decision to disobey. Rather, the reader finds this Creator “made for Adam and for his wife garments of skins and clothed them (Genesis 3:21) before banishing them from the Garden.Victor, in contrast, flees from the sound and the touch of the Monster who was trying to say….what? Creator?….Father? Exactly. And that is why Frankenstein gets to the heart of so many of the issues that our students, our culture, our world must deal with today. There are questions of responsibility. The responsibilities of a creator for the created can be extended to include the responsibilities of parents to children, of scientists to inventions, of writers to literature, of politicians to policies, and of pundits to sound bytes. What happens when the “creation” goes bad? Is the Monster a human? Shelley allows that the Monster eats, reads, and pines for a companion; he is alone, and miserable. A critical scene has the Monster pleading with Victor for a friend, a companion, a mate. Shelley has her Monster claim to have a soul; is the Monster a human? What makes a human a human? Shelley’s novel also considers related ethical questions. These include what is the result of unleashing a new technology on earth? Because the technology exists to create, should the technology be used? How far should technology go in helping humanity? In our brave new world, the “lyger” has been created because geographically separated tigers and lions can be crossbred in labs. Genetically altered crops are in the mainstream food source. These technological advancements have moved into our world with a ripple. But what of the advancements that will follow? Will human cloning become a reality, and will society deal ethically with clones? How far are we from artificial intelligence and should-or can- this intelligence be controlled? What does Frankenstein teach the reader about making ethical decisions today or in the near future? Why is literature such a great predictor for what will happen in the future? We feel pathos. The Monster’s story is one of tragedy. By the end of the novel, my students have dealt with some very profound ideas. They have asked some very important questions about responsibility, humanity, and ethical behavior. They feel a sense of accomplishment in reading a difficult 19th Century text. They have confronted contemporary issues through literature, and isn’t that what is supposed to happen in the classroom? Mary Shelley was only 18 years old when she attempted to answer some of the questions about the limits of man. She was young and ambitious, like many of our students. Her “hideous progeny” is extraordinarily prescient; then novel is in every way a Modern Prometheus-a modern myth. Mary Shelley’s Frankenstein is a must read, and a cautiously frightening tale, for Halloween or for any other day.